Ballyboden St Enda's booked their berth on the Leinster Club SHC semi-final after Tuesday night's provincial quarter-final encounter with Westmeath champions Clonkill in Parnell Park. It was a match played against the backdrop of great sadness following the death of three year-old Annabel Loughlin last weekend, daughter of Clonkill clubman and former Westmeath hurler Enda Loughlin, who was buried on Tuesday afternoon. 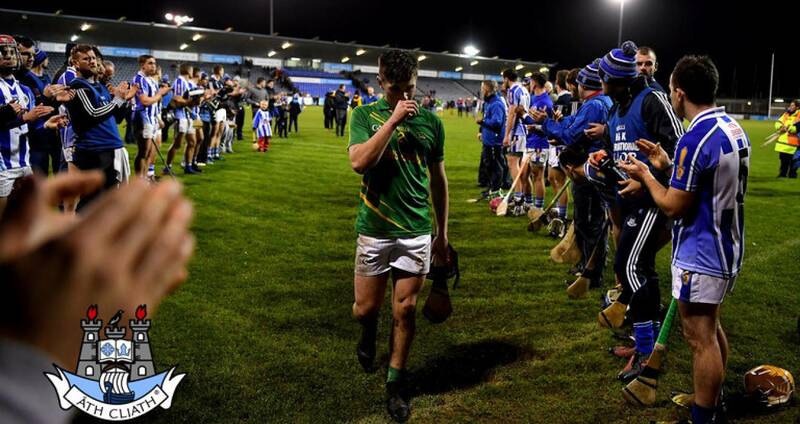 A minute's silence was observed before the game and after 80-minutes of action Ballyboden St Enda's formed a guard of honour for Clonkill as they exited the Donnycarney pitch. Boden advanced to face Offaly's Coolderry in the provincial semi-final in two Sundays time, again in Parnell Park (1.30). It took extra-time before the freetaking of Paul Ryan and a late Paul Doherty goal sealed the progression of Joe Fortune's men. Clonkill began by far the better and led 0-6 to 0-2 inside the opening 11 minutes with Eoin Price impressing in the opening spell, he finished the game with 0-4 from play. But St Enda's eventually settled with Conal Keaney showing all his expertise and experience to grab two points in quick succession. The Dublin champions led 1-9 to 0-10 at the break with their goal coming just shortly before the interval when Aidan Mellett pierced the Clonkill defence, his pass was missed by Conor McCormack but Niall Ryan was on hand to apply the finish to the net. Boden led late on with the accuracy of Paul Ryan to the fore before a late goal by Luke Loughlin, a second counsin of Anabel Loughlin, brought the sides level. A Niall McMorrow point edged Boden in front before Brendan Murtagh's free ensured extra-time. Early in the first period of extra-time Murtagh drove a penalty wide. A lucky escape for Boden and they took full advantage. In extra-time the placed ball accuracy of Paul Ryan was again to the fore with Paul Doherty's late goal ensured victory. BALLYBODEN ST ENDA’S: C O’Donoghue; D Curran, L Corcoran, J Madden; S Durkin, S Lambert, D O’Connor; S O’Connor, F McGarry; C Keaney, C Dooley, N Ryan; A Mellett, C McCormack, P Ryan. Subs: C Basquel for McCormack (44), P Doherty for Dooley (52), N McMorrow for McGarry (52), J Roche for N Ryan (61), N Ryan for Basquel (70), C O’Neill for S O’Connor (72), M Travers for Lambert (82). CLONKILL: A Mitchell; D Egerton, J Kenny, M McGrath; A McGrath, P Dowdall, L Dolan; S Power, C Austin; L Loughlin, M Keegan, A Dowdall; A Price, E Price, B Murtagh. Subs: N Mitchell for Folan (inj, 10), J Smyth for A Dowdall (45), A Dowdall for A Price (61), J O’Brien for M McGrath (74), J Fagan for Power (74).